Texas Gun Show Review encourages guest posts on topics of interest to the shooting sports industry. All content is posted ‘as provided’ and is the responsibility of the guest poster. Comments and views expressed are those of the guest and not necessarily of Texas Gun Show Review. One of the biggest problems that many new and experienced gun owners have is in being able to understand the specific terminology used for ammunition. Knowing what the basic terms are allows you to be more informed when you are considering both firearms as well ammunition. The casing refers to the jacket, shell or cylinder that holds the propellant, bullet and the primer all in one set position. Casings can be made from a variety of different materials depending on the specific caliber. The shape and size of the casing also depends on the type of weapon that will fire the cartridge. Most casings are made of a brass or brass alloy metal but this is one area where ammunition’s manufacturers continue to improve and offer a variety of options. Steel casings and other materials are used for specific types of weapons. The primer is responsible for a controlled explosion that will ignite the powder. Modern types of primer do not need a direct source of ignition such as fire or a spark, instead they rely on impact or percussion types of explosives. When the primer is hit with the striker it literally propels small amount of burning primer into the powder to start the burn. The primer acts as a detonator to cause an explosion in a very confined space. This explosion then triggers the ignition of the propellant or the powder. As this propellant burns it causes a measured and controlled build up of gases under very high pressure. The pressure pushes the projectile along the gun barrel and out the end. Powder is not an explosive and burns at a very predictable rate. Ammunition manufacturers can calculate the amount of powder or propellant needed to accelerate the projectile at the correct velocity for each particular caliber of weapon. Having the right amount of propellant in the cartridge allows the safe firing of the gun along with the right speed when projectile is out of the barrel of the gun to go specific distances. The first term often misused is the bullet. In the manufacturing industry we refer to this as the projectile. The projectile comes out of the end of the barrel of the gun when it is fired. It is typically made of lead or some combination of materials based on the specific type of bullet. In addition some projectiles may have a jacket, which is a covering of another metal, usually copper or a copper nickel alloy. The word most often used incorrectly to describe a bullet is a cartridge. In fact the cartridge includes the bullet but also the primer and the powder charge. Unused ammunition needs to be correctly called the cartridge. The term round could be substituted for cartridge, but bullet is inaccurate. The cartridge also consists of the case, which is the round, cylindrical component that holds the powder charge. The cartridge is often aluminum, brass or steel but can also be plastic or even specially developed paper. 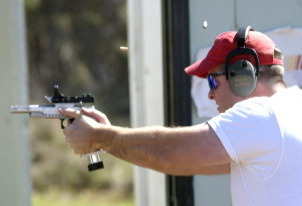 The case actually expands when the gun is fired to create the pressure needed to push the bullet out the muzzle of the gun with the desired velocity. The primer is actually a small indentation or miniature cup that sits at the end of the case. This gives the explosion when the gun is fired, actually the firing pin striking the primer, which leads to the spark that triggers everything. Cartridges can be centerfire, which means that the primer is located in the center of the base of the cartridge. They can also be rimfire, which means that the cartridge is struck on the edge to cause the explosion for priming compound. The caliber is the actual size of the bullet that a gun has been designed to fire. Different cartridges may have different weights even for the same caliber, which allows gun owners to choose different options. Some handguns may be able to fire more than one caliber of ammunition but typically all other guns will be very specific. In addition the caliber a word may be used to describe the shape. One of the worst mistakes that ammunition buyers make is to fail to ask questions if you aren’t sure. With different people often incorrectly using specific ammunition terms is it always a good idea to check before buying. Your retailer will be happy to explain any terms you may not understand and provide you with helpful tips to make sure you get just the ammunition you need for your firearm.